Seismic Surveys, Inc. is an authorized distributor for Instantel® seismographs. 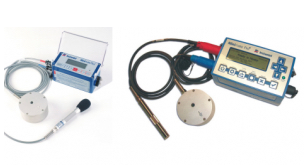 We offer the full line of Instantel® seismographs for sale and can facilitate your calibration and maintenance needs. If you are interested in a quotation for a seismograph or accessories purchase, or need to have a seismograph that you own serviced or calibrated, please contact us.